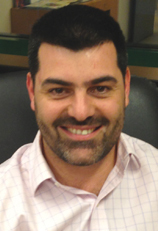 Kostis is the Managing Director of iSquare, the official distributor of Apple in Greece & Cyprus since 2009. He is responsible for managing the company and mainly focuses on key projects, new business development and strategy of iSquare in the area. iSquare has managed to grow more than 100% since 2009, established strong market position in both PC and Tablet markets and also launched 6 new Apple Premium Retail Stores across Greece. Kostis has a strong Telecom & IT background as he started his career in 1997 with Nortel (the largest Canadian Telecom manufacturer) in the UK. Since then, he worked inside the organisation in several different posts in more than 3 European countries including, product marketing, business development and various sales and strategy roles inside Nortel. In 2000 he returned to Greece and was one of the founders of the local Nortel office, where he became the Managing Director in 2007. He managed to grow the company significantly, even at tough market times, and he is recognized as a passionate and hard working leader. Kostis holds an Electronic & Electrical Engineering BSc and an MSc in Mobile & Satellite Communications from the University of Surrey, UK. He is an associate member of IEEE, IEE and a member of TEE in Greece. He is also a member of EASE and CEO Clubs Greece.